It was the end of a busy week at Earls Hall and, as usual, we held two simultaneous ‘Celebration Assemblies’ where Mrs Ludlam and Mrs Creak presented ‘Earls Hall Stars’ certificates to individual children from each class. There were also certificates presented for reading races and times tables effort and achievement. Well done to all of the children presented with certificates today, we are proud of you! 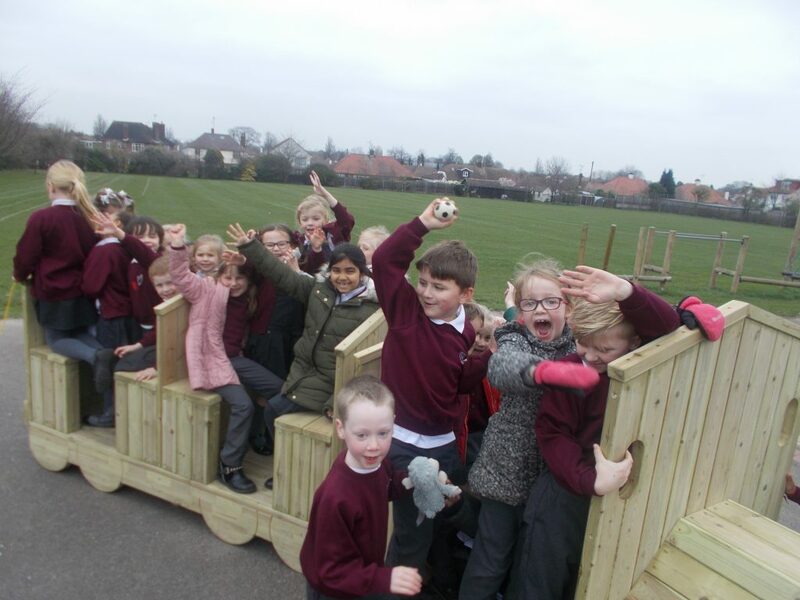 At playtime the new Earls Hall express train was played on for the first time and the children were queuing up in order to climb and ride on it! As the day went on the children in Year One wrote some fantastic sentences in group writing sessions whilst the children in Year two created their own ‘Fire of London’ works of art,. the children created a fire backdrop, using a wash of paint, before creating the silhouette of a London skyline using charcoal. ← All Aboard the Earls Hall Express!